Sally Beauty is having a Flash Sale today! Get any Fingerpaints Nail Polish Free! No purchase is necessary. 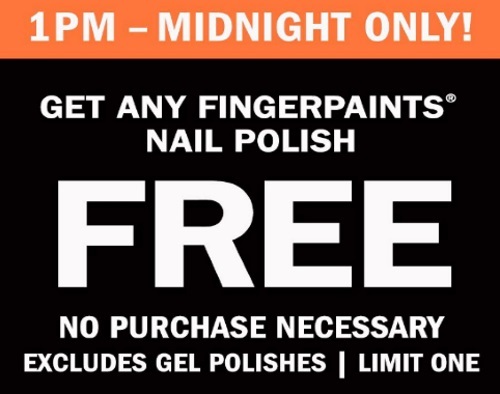 Offer excludes gel polishes. Offer is valid today only, Saturday, October 15 1pm-midnight! Limit 1 per person. Just show the linked post below below (it's on their Facebook Page) to get the offer. Click here to locate your closest Sally Beauty store.